This is pretty much a non-recipe. There are no measurements and no hard rules about what ingredients to use except, of course, for the pork. Were using this pork! Other than that, it’s basically a nacho free for all. I mean who really needs a recipe for sheet pan nachos anyway? You’re just going to lay a bunch of tortilla chips down, load them up with deliciousness, bake them a bit, and then load them with more deliciousness. Easy enough. Because I am an indulgent glutton who cannot be stopped, I topped these nachos with fried eggs. I mean what could go better with slow cooked pork, melted cheese, avocado and sriracha than a runny egg yolk?! Nothing, that’s what. The pork is so easy to make but it does take a few hours so plan ahead! I always make a batch of this pork and have it hanging around in the fridge for pork related emergencies (like when I get a hankering for loaded nachos). 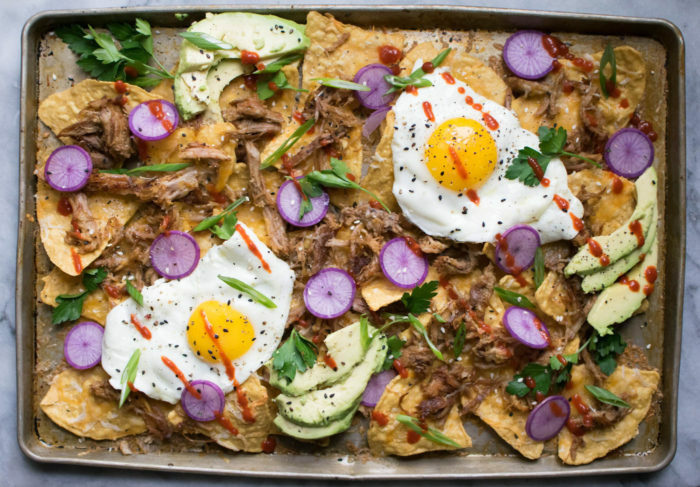 So, if you’re planning on making these nachos for Super Bowl Sunday, and I totally think you should, maybe make the pork on Saturday! And you know what you should definitely do? Take pictures! 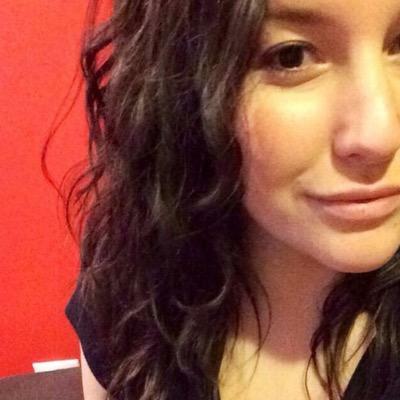 These babies are going to look damn fine. 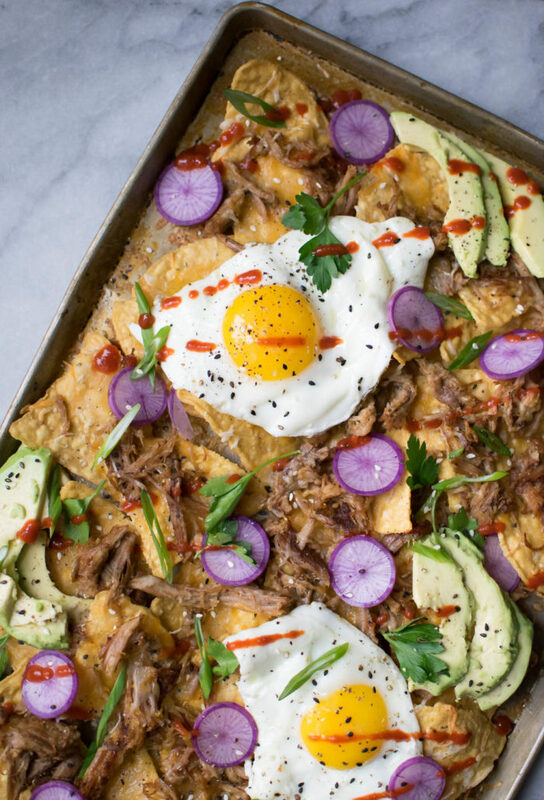 Lay tortilla chips down on a sheet pan in an even layer and top with shredded cheese and the pulled pork. Bake them for 5 to 10 minutes or until cheese is nice and bubbly. While the nachos are baking, fry up a few eggs. 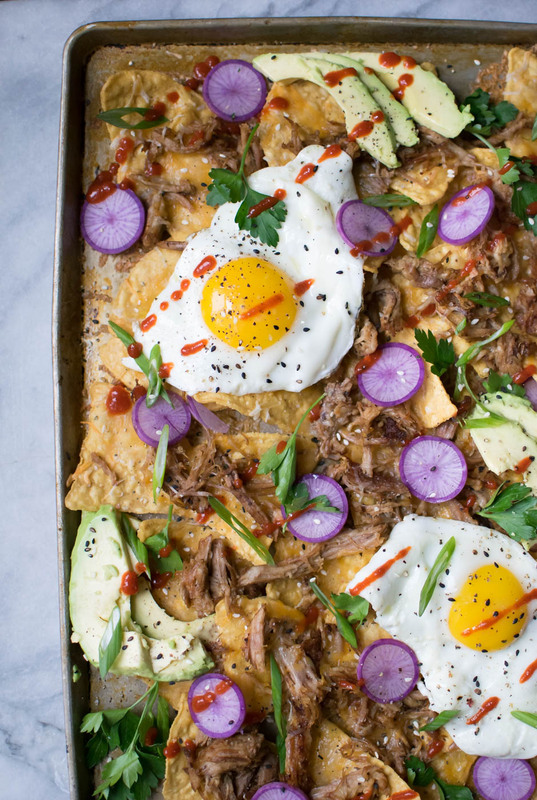 Top the nachos with the eggs, avocado slices, radishes, sriracha, sesame seeds, scallions, parsley or cilantro and literally whatever else you want! Slam these in your nacho hole!